Providing helpful counsel from start to finish to help you move forward. At DeLoache Law Office, we provide solutions to help members throughout our community regain their financial footing and achieve debt relief. Throughout his 25+ years of legal experience, our Jonesboro bankruptcy lawyer has helped thousands of clients file for Chapter 7 and Chapter 13 bankruptcy. If you are in a position of financial difficulty, you do not have to lose hope - our lawyer possesses the experience, skills, and resources needed to assist you. To see if bankruptcy is the right process for you, you will have to take a means test first. This will determine if a Chapter 7 or Chapter 13 is best for your situation. When a client works with us, we will thoroughly review your financial situation, answer any questions you may have, and determine if you meet the specific requirements. While bankruptcy provides numerous individuals with the opportunity for a fresh financial start, the process is not right for everyone. When an individual works with us, we will obtain a complete understanding of their situation, explore all the options, and determine what the most suitable course of action for them is. While Chapter 7 is best for many individuals, Chapter 13 is more suitable for others. Although many people view bankruptcy in a negative way, it is actually the opportunity for a fresh financial start. Filing for bankruptcy will put an end to creditor harassment, and stop processes such as foreclosure and repossession. Filing for bankruptcy will provide you with the opportunity to move forward, and leave the debt behind you as you rebuild your credit. Mike DeLoache is devoted to one mission: helping people face their everyday financial challenges and work through them to reach a brighter future. Voted Best of Region 8 Bankruptcy for three consecutive years, Mike has demonstrated his ability to successfully help individuals wipe their financial slate clean. In fact, he has helped thousands of clients file for Chapter 7 and Chapter 13 bankruptcies over his 20 years of experience. 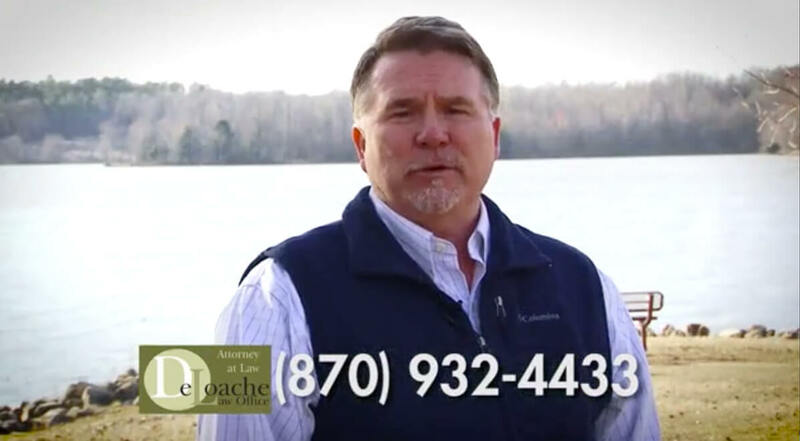 As a member of many legal associations with a proven track record of success, you can be confident that your case will be in good hands, if you choose to team up with Attorney DeLoache. Although you may be going through a difficult time, there are solutions for obtaining the fresh start you deserve. With a variety of bankruptcy options, we can determine the course of action that is most suitable for your situation. Chapter 7 bankruptcy involves your assets being liquidated, using the proceeds to pay off your debts. To qualify for Chapter 7, you must first pass a means test. We will help you throughout the entire process and do whatever we can to help you succeed. When you are served in Arkansas, you have 30 days to file a written answer to stop a default judgement from being entered against you. To avoid unfavorable consequences, contact us right away.